Call to the new generation to step up and undo what our parents generation has done to the planet. When you wear the crown? 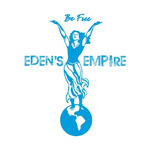 Thanks for supporting Eden's Empire! Would you like to help Eden's Empire get heard by industry pros by buying them a song submission credit to Broadjam Music Licensing Opportunities?